At the end of the day, knowledge is a word in which we give it meaning. Knowledge for one person may mean something entirely different to the other. To me, learning the beginning of wisdom. And wisdom is truly never ending. It is funny, the more knowledge you have, the more you realized how much you actually DO NOT know! What a paradox! But the more you learn, the more potential power you have. The more you feel as if you are getting closer to answering the big questions of life. The more you believe in your potential. The more tools you have in your tool belt. 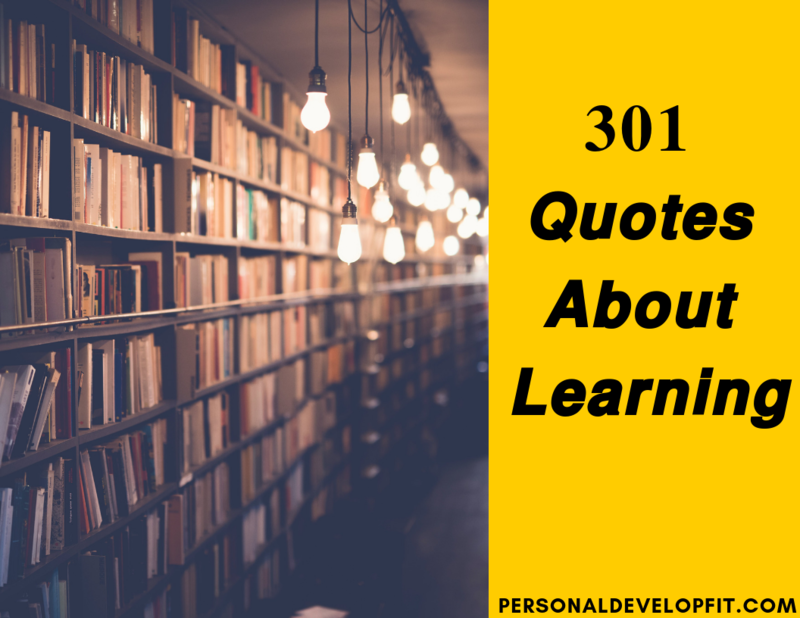 Below are 301 quotes about learning and knowledge that can give us hundreds of perspectives on what learning and knowledge means to other people. And hopefully, it will spark in you the desire for life long learn. Or continual personal development and growth. So that it helps you life a life of meaning. And purpose. “I’ll always being growing, forever learning, forever taking in advice from people I deeply respect.” – Odell Beckham Jr.
Ok, so there it is my friends. 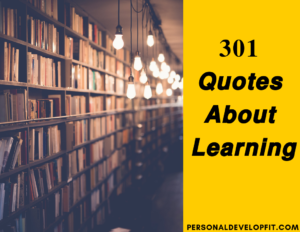 A massive list of quotes about learning. I hope it made an impact on you and that you learned something new that will help you along your journey here. I would love to hear what your favorite quotes were. As well as if you have any good stories about learning and knowledge. Or what learning means to you! Lets chat in the comment section below.